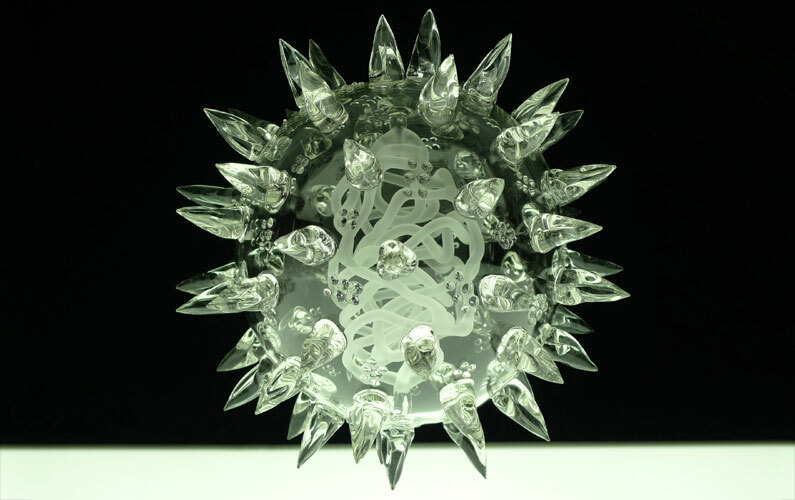 This is a fictional virus, a future virus that has yet to be born. Has this virus been created in the laboratory or evolved naturally? Will the impact of this virus be of benefit or hinderance to humanity? The common public perception is that the only function of viruses is to cause disease. But research has now found a substantial amount of evidence that they serve several major roles in ecology and are actually essential for life. 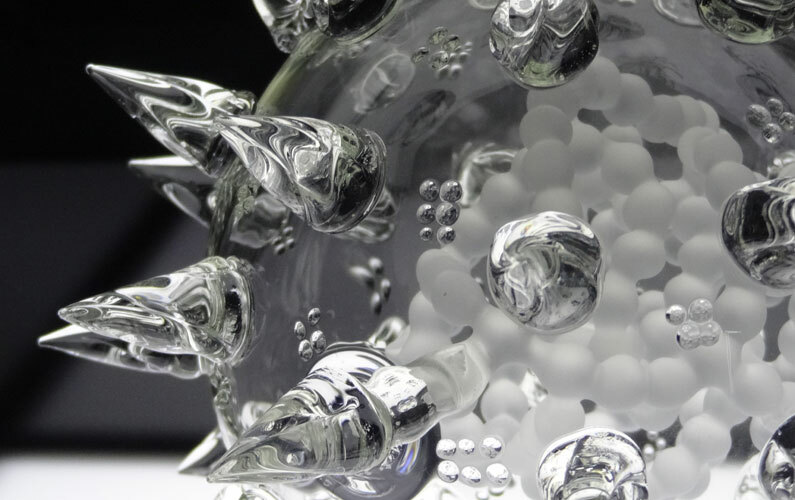 Without viruses, the genetic revolution we are now experiencing would be impossible. They also serve numerous beneficial functions that we are just beginning to research and understand. 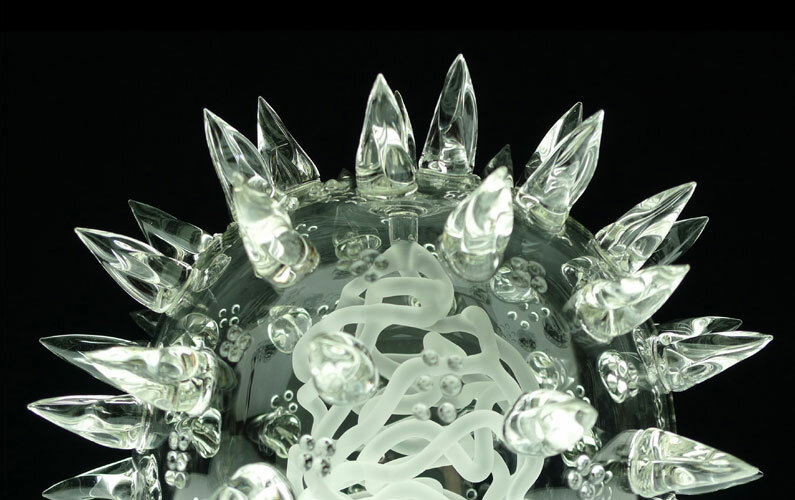 This artwork was discussed in the glass Journal Neues Glass and the New York Times. 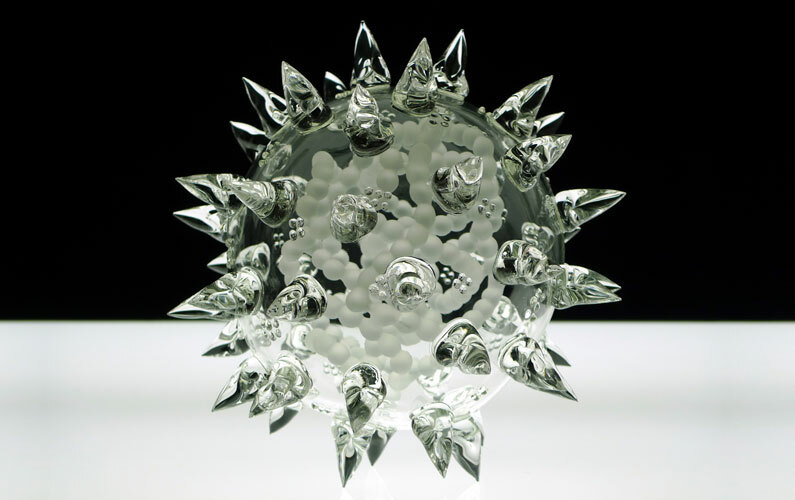 Editions of this artwork are in the Bristol and Bath Science Park and the Wellcome Collection, London. Small – Limited editon of 20. 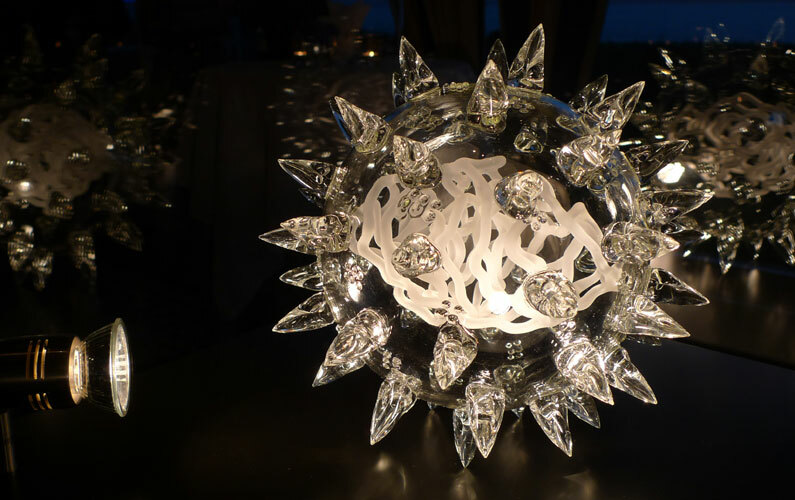 Large (with beaded interior) – Limited edition of 5. 23cm x 23cm – JUST 3 REMAINING!